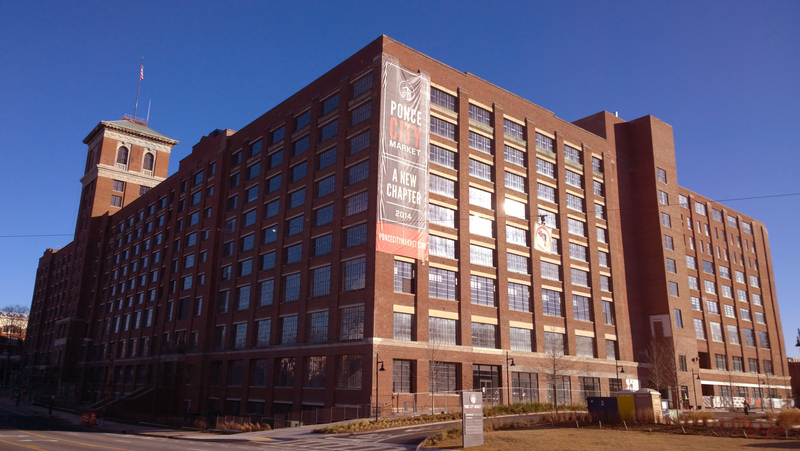 I believe they’re calling it the Ponce City Market now, but I’ll always remember it as City Hall East, or the old Sears Roebuck building. When I was in the Atlanta Jaycees in the 90s, we’d volunteer with the Empty Stocking Fund, at their Santa’s Workshop which was set up here. Across the street is the field where the Atlanta Crackers played baseball. Now, part of the Beltway Trail runs nearby. That building used to house the yearly Flower Show. They had to move it because the drainage was so bad there.